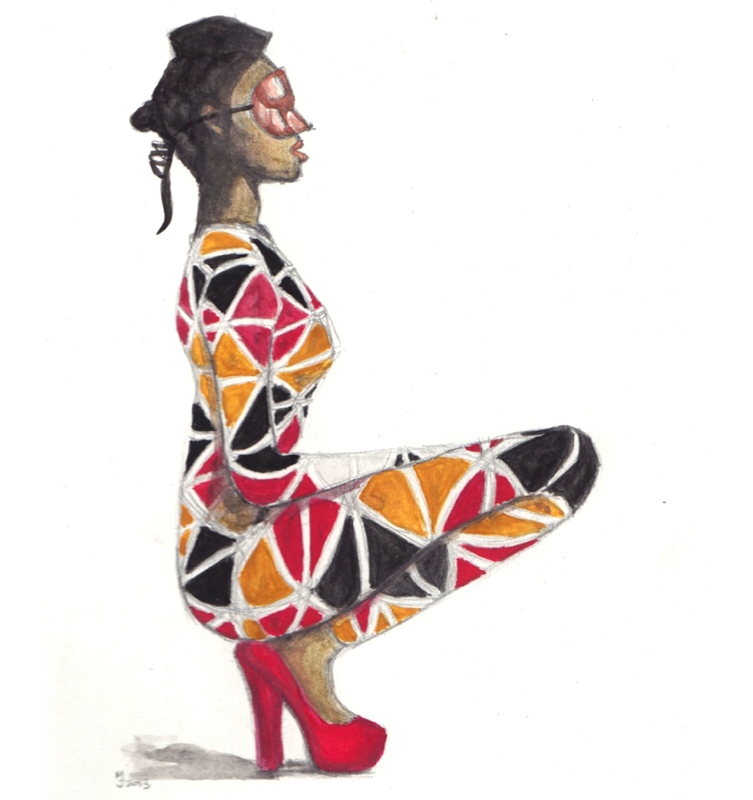 I'm really happy with this latest watercolor sketch of a Vivienne Westwood outfit from her 1989 collection. It's interesting how style come in and out of fashion. I think with a couple color variations and updated accessories and maybe a different hairstyle, this would still be relevant today. Maybe not on the streets, but perhaps in a music video on a cool movie.